A while ago I posted about the refrigerator Marshall was coming out with. It’s a fridge that looks like a Marshall stack. I think the Marshall fridge is awesome and would love to have one. Here are some pictures of it. I had forgotten about it until I was browsing through Amazon. As luck would have it you can buy your own Marshall Fridge here. Korg has released the Beat Boy which is a little device that can provide beats to jam along with and other things to make you guitar practice more effective. Korg says that their new Beat Boy enables guitarists or bassists to improve their skills quickly and easily with three practice tools plus a tuner, all in a single unit. They tell us that, in addition to the tuner, Beat Boy contains a rhythm machine covering 100 diverse styles, an effects section for sonic variation when jamming along with the rhythms, plus an onboard recorder that allows for 16-bit/44.1 kHz recording. The compact Beat Boy fits easily into the pocket of a gig bag, for practice both at home or on-the-go. Sonic State has more info. Nothing worst than an out of tune guitar. Okay, maybe there are worst things but having to listen to a guitar that is out of tune is no fun! 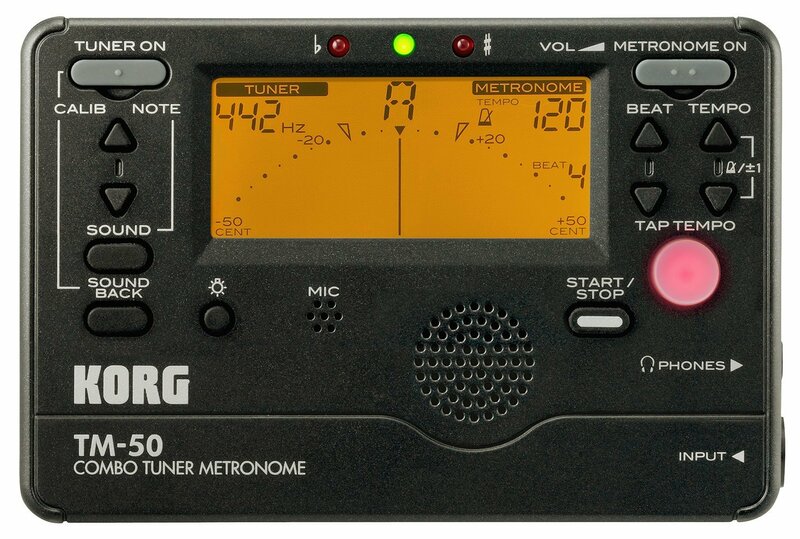 Get the Korg TM50BK Instrument Tuner which also has a handy dandy metronome. The Korg TM series allows you to use the tuner and metronome simultaneously. Since this single unit is all you need for both pitch and rhythm training, it has become a favorite lesson tool for brass bands as well as many other types of musicians. The TM-50 is the latest model, featuring a two-level backlight that enhances the visibility of the LCD display. It uses a newly designed needle-style LCD for excellent response, and even greater tuning accuracy.